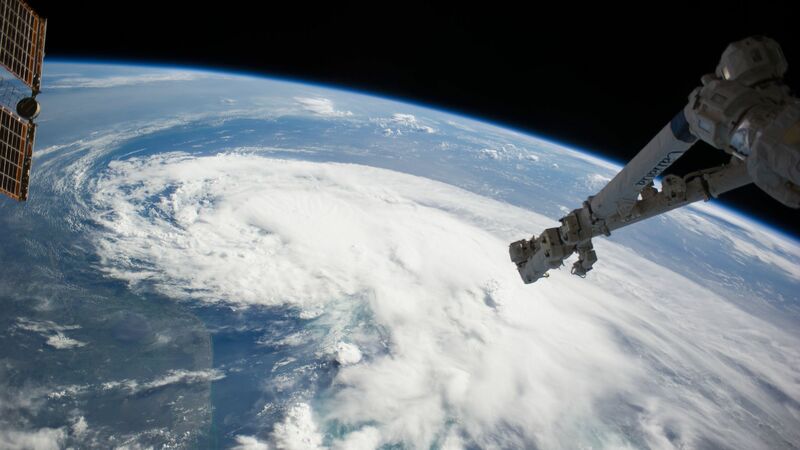 The most important instrument on board a newly-deployed, state-of-the-art U.S. weather satellite is malfunctioning, the National Oceanic and Atmospheric Administration (NOAA) said Wednesday. The satellite in question is part of the GOES-R program of geostationary satellites that orbit above a fixed location on Earth. The problem: The problem concerns an instrument known as the Advanced Baseline Imager, or ABI, aboard the satellite. During the trial run following the satellite's launch on March 1, the instrument, which functions as the satellite's eyes on our planet, showed irregularities. The details: Specifically, mission controllers have been having trouble keeping the ABI cold enough to function properly for six hours of the day, and this is interfering with its ability to clearly see about a dozen of the 16 infrared channels its capable of taking images of. It can see just fine during the day, but is having trouble keeping tabs on the weather at night, when infrared cameras in space are especially useful. What this means: Right now, the malfunction is not having any impact on weather forecasts across the U.S. or elsewhere, since NOAA has other satellites in place that are working properly. However, some of those are nearing the end of their design lifetimes, officials said during a media conference call. Satellite data, particularly atmospheric wind speed and moisture measurements, is one of the primary sources of data for weather computer models. This means that if the issue is not fixed, model projections could suffer. “It’s obviously not what you want to see. It is a little bit upsetting to see this happen," said Tim Walsh, GOES program director at NOAA. Walsh and others said the worst-case-scenario involves having a hobbled, but not incapacitated, satellite instrument. The new satellite is part of a multi-billion dollar system meant to improve forecast accuracy for years to come.